Russia has zero trust in NATO and believes that the alliance is preparing to go to war against it, a leading Russian foreign policy expert told 'Spiegel', while warning that, if it comes to a new big conflict, Moscow won’t fight it on its own soil. In an interview with the German magazine, Sergey Karaganov, a veteran political scientist and member of the influential Foreign Policy and Defense Council of the Russia Foreign Ministry, said in bold terms that the risk of a new shooting war in Europe has been on the rise for a decade and is now as high as it was at the height of the Cold War. The abundance of propaganda coming from both sides attests to the dangerous state of the crisis, Karaganov said. The expert was referring to a massive build-up of intermediate-range nuclear missiles in Europe that could have easily led to an unintended nuclear war. The missiles had a very short approach time that left almost no time for an attacked side to react, making automatic retaliation the only possible reaction to a decapitating nuclear barrage. The situation was defused by a ban on intermediate-range missiles signed in 1987. The current buildup of NATO forces on Russia’s border is not unlike the installation of Pershing and SS-20 missiles three decades ago, at least in terms of the misguided justification for deploying them, Karaganov said. 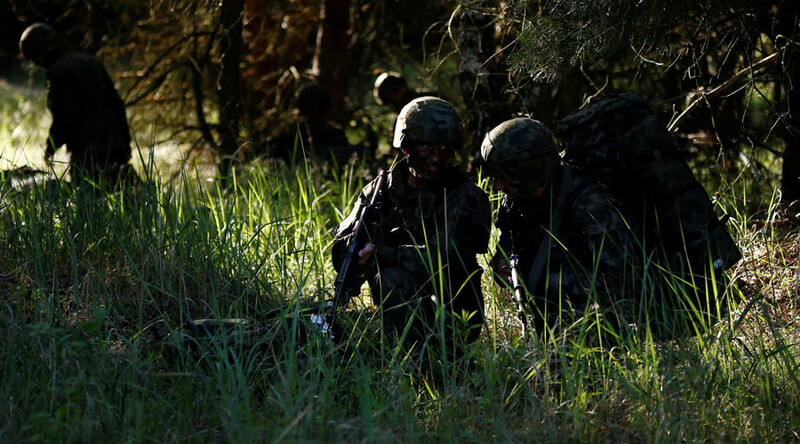 “Fears in countries like Poland, Lithuania and Latvia are to be allayed by NATO stationing weapons there. But that doesn’t help them; we interpret that as a provocation. In a crisis, we will destroy exactly these weapons. Russia will never again fight on its own territory,” he said. 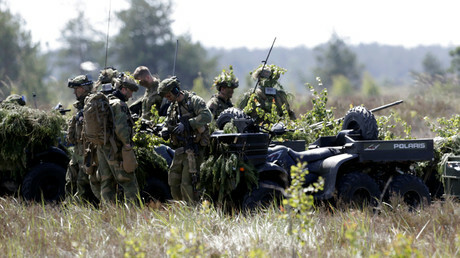 “The help offered by NATO is not symbolic help for the Baltic states. It is a provocation. If NATO initiates an encroachment – against a nuclear power like ourselves – it will be punished,” he stressed. Part of the problem is the breakdown in communications, as evidenced by the work – or lack thereof – of the NATO-Russia Council, which was created to resolve differences between the alliance and Russia, but is “no longer a legitimate body,” according to Karaganov. “NATO has become a qualitatively different alliance. When we began the dialogue with NATO, it was a defensive alliance of democratic powers. But then, the NATO-Russia Council served as cover for and the legalization of NATO expansion. When we really needed it – in 2008 and 2014 – it wasn’t there,” he said referring to Russia’s most recent major security crises – Georgia’s attack on South Ossetia and the violent coup in Ukraine. The enmity between Russia and Europe hurts both parties in other ways as well, the expert said. After decades of careless life, Europe has forgotten how to engage in realpolitik, unlike Russia, Karaganov says, meaning that Europe loses out on Russia’s help on issues such as the refugee crisis, which Moscow is unlikely to offer in the face of the confrontation. “In Europe, you have a different political system, one that is unable to adapt to the challenges of the new world. The German chancellor said that our president lives in a different world. I believe he lives in a very real world,” Karaganov said. Russia, for its part, is hurt because Russia’s elites find an excuse not to undertake painful but necessary domestic reforms as long as the threat from NATO exists. Karaganov says Russia won’t offer any concessions to the West in the face of the stand-off anytime soon, but, rather, it will refocus its attention eastward while drifting further from Europe, though he admitted that such an outcome is not the best for Russia.